Vaali in konkani means malabar spinach. 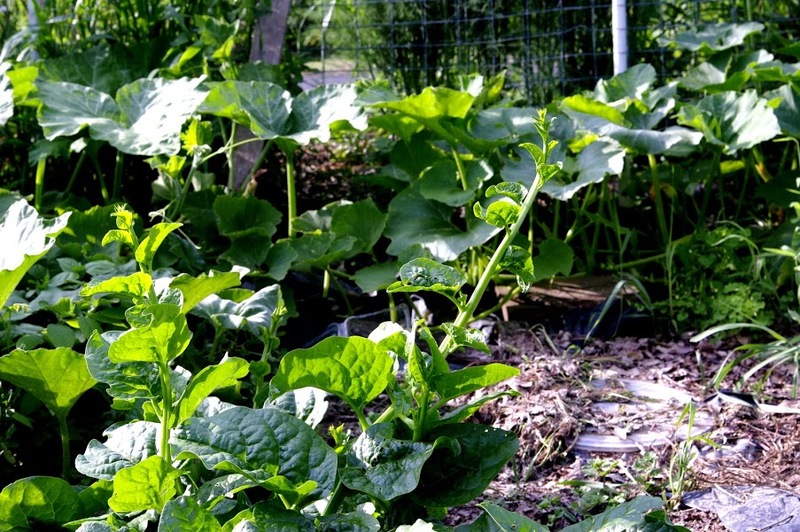 Malabar spinach is a healthy vine which is popular among the konkanis. Many people in and around Mangalore grow this vine in their backyard. It is very rich in fiber and minerals and low on Cholesterol. 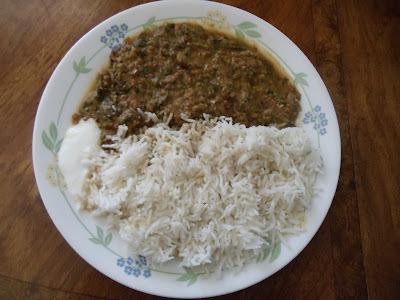 Vaali-Kulitha koddel is nothing but malabar spinach and horsegram cooked in a coconut gravy with garlic seasoning. Malabar spinach and horsegram, together makes this dish very healthy. Clean the malabar spinach and separate the leaves from the stem. Cut the stem into 1-1.5 inches long. Wash the horsegram thoroughly. 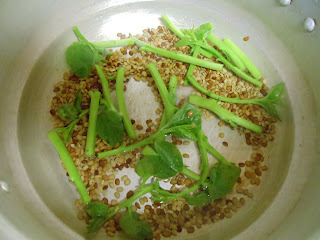 Take the stem of the malabar spinach and the horsegram in a cooker. Add sufficient water and salt to taste. Cook them for two whistles. Meanwhile chop the leaves of the malabar spinach and cook them separately by adding it in boiling water(use a small vessel). The leaves will take less than 5 minutes to cook. 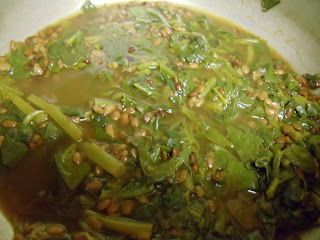 Add the cooked leaves to the cooked horsegram-stem mixture and mix well. For the masala - Grind the grated coconut,red chillies and tamarind to a smooth paste by adding little water. Add this masala to the above cooked mixture and bring it to a boil. When it comes to boil, continue heating for five more minutes. Turn off the heat. For seasoning- Heat the oil and add crushed garlic to it. Fry it until light brown and add it to malabar spinach-horsegram-masala mixture. Mix well. Vaali-Kulitha koddel is ready!! Serve it hot with rice, idli or dosa. Above measurement serves two people. Tukudi (Shankar Pali) - My 25th Post! !